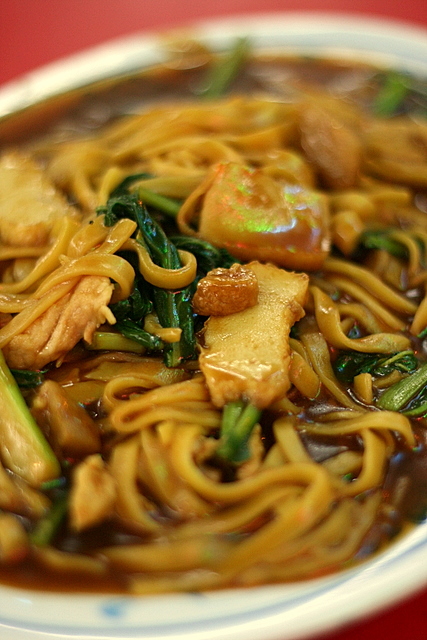 Le Wai Tian's dark Hokkien mee is reputed to have lots of fried pork lard pieces. But I think they have cut down on it a little recently. The pork lard pieces here are still juicy with fat, not fried til totally crunchy. 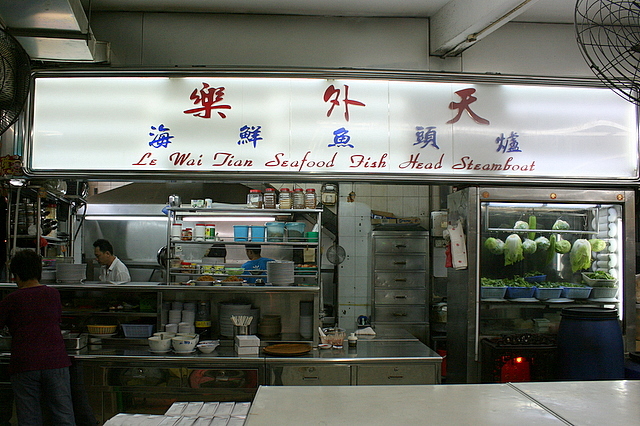 Hubby loved the noodles and thought them very reasonably priced (only S$3.50). For me, they're OK but just too different from the KL-style (really dark) Hokkien mee that I'm seeking. I preferred the charcoal fried Hokkien mee. Meanwhile, I must learn how to use the 50mm lens properly. Seems like there's too much foreground and background blur. Or is that a good thing? They have lots of cze char dishes. I need a bigger group to try dishes here! looks like a pretty nice place. how about organizing a makan trip to try the cze car dishes. i think stopping down would help. i heard that it's very sharp from 2.8 onwards. very shallow dof on this one, unlike most of your food photos w/c are very detailed. but still.. "sugoi ne!" Nostalgia: yeah, much as I like the f/1.8, I realise it's not ideal for many shots! I might be wrong, but is the food centre still there?? I think I passed by (the beginning of) Telok Kurau Rd and I didn't see it!